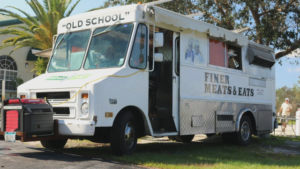 The legendary Finer Meats & Eats food truck – a menu features a mouthwatering selection of BBQ, Burgers, and Sandwiches. 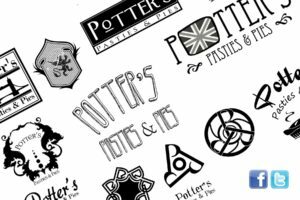 Delicious grub from the local Potter’s Pasties & Pies! Drool-worthy menu here. 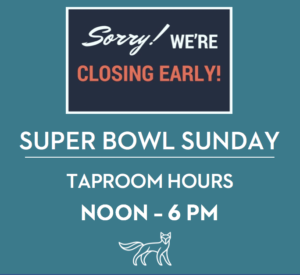 Special taproom hours: NOON – 6PM The Venn taproom will be open from Noon to 6PM on Super Bowl Sunday. Stop in for growlers or crowlers before your Big Game festivities! 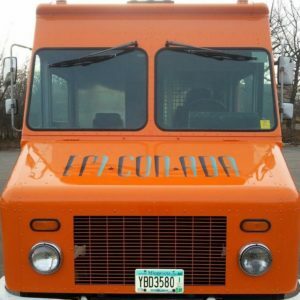 Also a heads up: no food truck. 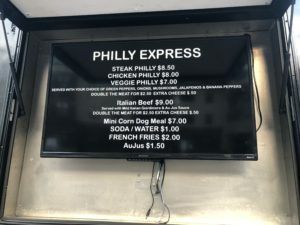 Delicious grub from the local Philly Cheese Steak Food Truck! Mondays just got awesome. 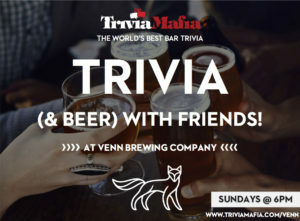 Mugs of beer + food at Venn on a Monday! 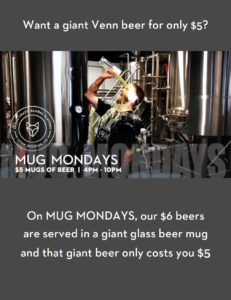 On Mug Mondays, we’ll fill a giant beer mug for you with any regular $6 pour (including 12oz pours) for $5 all day long. 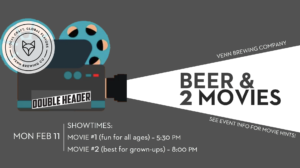 Come hang with us on a Monday! 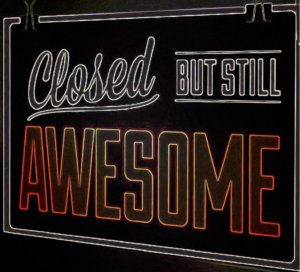 The Venn Taproom will be closed for a staff party. Urban Sub is a local independent sandwich shop. Homemade food is our focus. We roast our meats and use local, all natural and organic ingredients to make our subs! Check out the goods here. The BEST Japanese Fusions from downtown Minneapolis. Feast your eyes here. 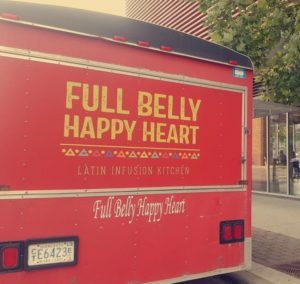 Latin Food Con Un Toque Chileno From Chile to Minneapolis. Taste of Chile with a Twist! 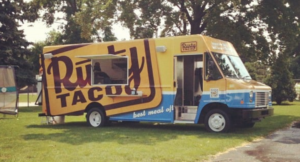 RUSTY TACO!! 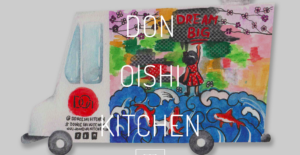 Read up on the delightful goodies that await you here. Sug’r Shack’s got classic Italian meals, including spicy ham sandwiches, pasta and a hearty Italian sausage sandwich. 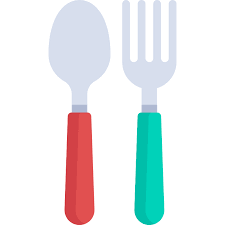 KCM Egg Rolls serves authentic Vietnamese foods that include jumbo egg rolls on s stick, mouth-watering cream cheese wontons, chicken dumplings, gluten free spring rolls and egg roll salad. Feast your eyes here. 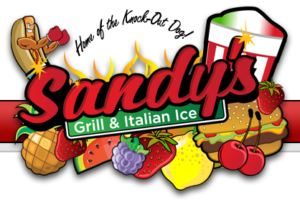 Awesome nosh from Sandy’s Grill. Dig in! Tostadas! Chipotle, Jerk/Caribbean, Peruvian, and Mediterranean – and all gluten-free. 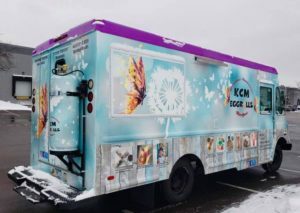 Don’t miss this truck! Check them out here. 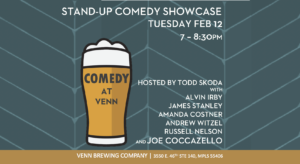 © Venn Brewing Company LLC All Rights Reserved.